I am an experienced teacher specializing in teaching High School and AP level chemistry. I have taught general chemistry courses with full autonomy at the University of Illinois at Urbana Champaign. I also specialize in teaching science and math to students at the elementary, middle and high school level. I find teaching small groups of students and being able to witness their learning process very satisfying. I specialize in augmenting the school curriculum by thorough study and help in the process of building a sound basis for science concepts on which all learning eventually rests. I try to make the learning process as enjoyable as possible by breaking it down into easily assimilated parts. Over a period of time this helps students retain material better. I try my best to tailor the learning process based on the students learning temperament and establish a satisfying mutual relationship. I have a PhD in Chemistry and have completed relevant math coursework. I regularly tutor students in math (pre-algebra, algebra, geometry) at the middle school to high school level. I have a PhD in Chemistry and have completed relevant coursework in math. I regularly tutor math (pre-algebra, algebra, geometry) for middle school and high school students. I can impart a strong grasp for the topic under consideration and build the concept by using proven step-by-step methods by helping the student reason the problem out on their own. I have taken organic chemistry coursework for both my Bachelors (BSc) and Masters (MSc) degrees. I have taught introductory organic chemistry at the freshman level as part of GCHem introductory Chemistry 101 at the University Level with full autonomy. I have a doctorate in Chemistry utilizing organic chemistry fundamentals and applications. Maya is great. I've worked with dozens of chemistry tutors in the past but Maya takes the cake.Thank you again Maya. Maya is an excellent tutor. My daughter is more confident in her skills now and in handling AP exam. She uses problem solving to ensure student mastered the topic. Maya has helped my daughter with AP chem for several sessions. She is very knowledgeable and able to explain the concepts in a logical and easy to understand manner. Will continue the tutoring session with Maya. Highly recommend her to anyone who needs AP chem tutoring. Maya is a great teacher. She is a perfect blend of knowledge and patience to understand students need. Thank you Wyzant. She took extraordinary efforts to ensure that the student is confident about the topics she covered at the end of each session. Maya was very helpful ans had no problem stopping and explaining every problem! She was very in depth in her explanations. My daughter got an 800 in SAT Chem and a 5 in the AP Chem test. We were very happy but we know it did not come easy. She was one of the few sophomores in the AP Chem class, and it was a rough start. She was very concerned she didn’t quite understand the concepts and be able to keep up with the requirements of this tough class. That is when she started to work with Maya, and fast forward she got an A in the class and a 5 in the AP test. Maya was great at explaining the concepts and practicing test questions with her, and she was very available and even stayed over the time we discussed with her. 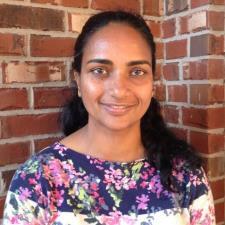 Her demeanor is calm and helpful, and had evident experience of working with AP students before. We are very happy we worked with Maya and would recommend her to other high achieving students wanting to prepare for AP or SAT in Science. Punctual, responsible, able to accommodate and adjust to the students needs. Availability is good. Takes time to explain. Extremely knowledgeable on advanced topics in AP Chem. Patient and thorough. Grade always good after session with Maya. Maya is tutoring my 16 year old son in geometry and chemistry. She's very kind, patient, and most importantly, he's understanding concepts that his teachers weren't able to explain successfully. I highly recommend Maya!